Here is another great example of using all of the colors in the Rainbow Stripe fabric – Petite Dandelion. 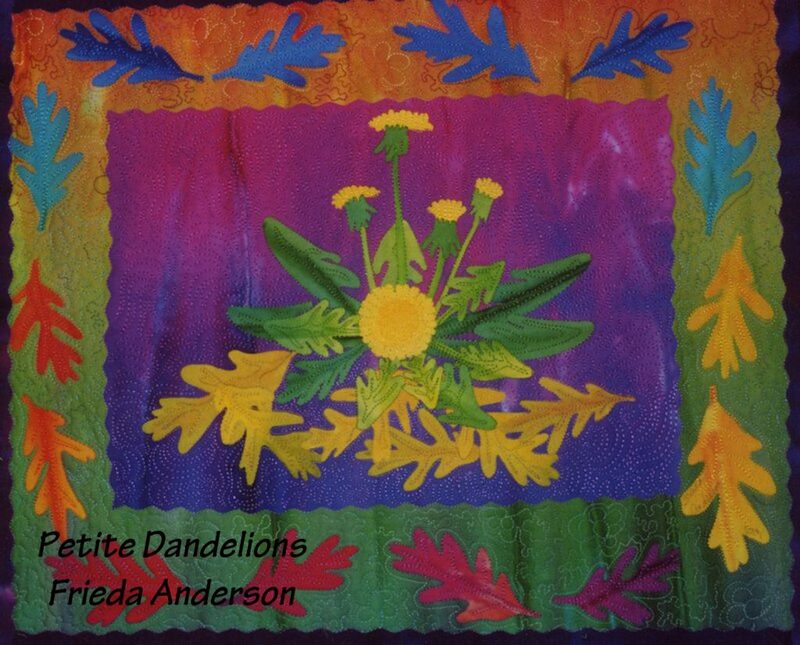 I have used the area in the middle of the fabric, the purple/pink, for the background behind the Dandelions. I have used the yellow at one end of the fabric for the Dandelion flowers and the greens at the other end of the fabric for the leaves of the Dandelion and then I used all the colors of the fabric for all the different oak leaves in the border. I used the orange/yellowy section area of the fabric for the border stripes. I think the Rainbow stripe fabric is so versatile.